Team Kochadaiyaan is up and ready to release their single audio track. The song titled, ‘Engae Pogudho Vaanam’ will be released on the 7th of October, 2013. S.P Balasubramaniam has crooned to the lines of Kaviperarasu Vairamuthu. A.R. Rahman’s music combined with the voice of SPB and the promising lyrics of Vairamuthu is bound to be a stupendous combo beyond doubt. Considering the song title and the choice of singer used, the song would seemingly be a melody. We had earlier reported that the team is planning to release the movie on Rajinikanth’s birthday, which falls on the 12th of December. With the release date of the movie closing in on us, and the release date of the single track being announced, the enthusiasm appears to be hitting us hard. Stay tuned for more updates. 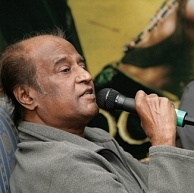 People looking for online information on Kochadaiyaan, Rajinikanth will find this news story useful.